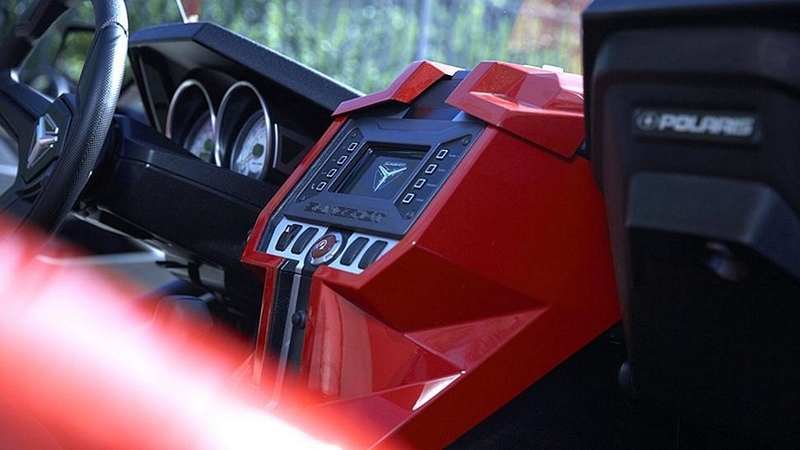 Polaris, the guys behind some of the gnarliest ATV off-roaders available, are making a 3 wheeled car/motorcycle. 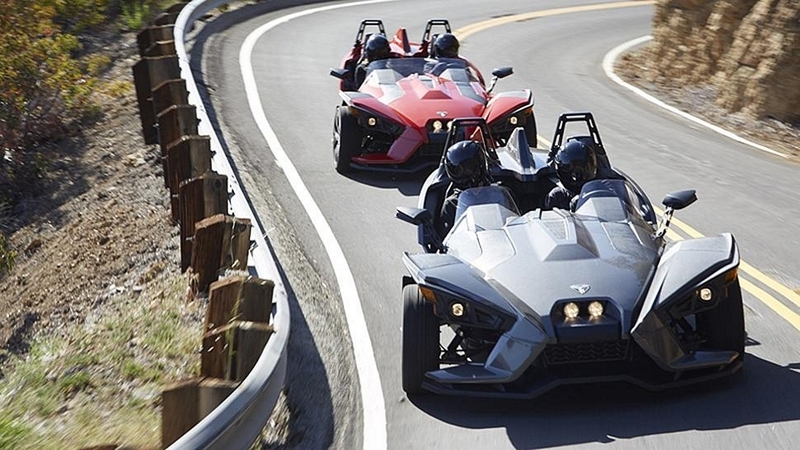 Well, a car that looks like a three-wheeled Ariel Atom, all while being technically classified as a motorcycle. 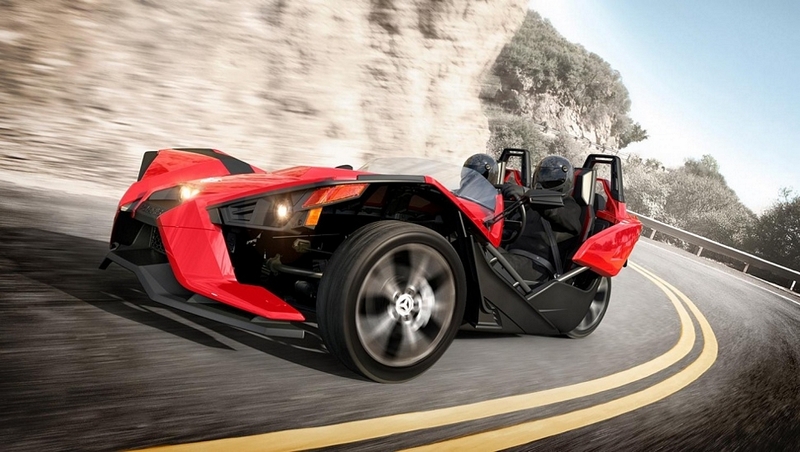 It’s called the Polaris Slingshot and it just might become one of the most tempting purchases of next year. 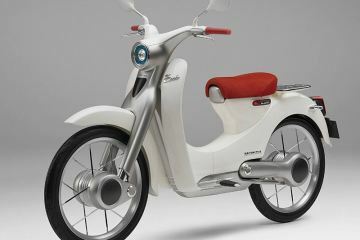 Like a car, it has an open-air cockpit with a steering wheel, a stick shift, and side-by-side bucket seats for two in the cabin. 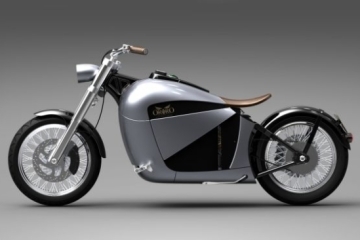 However, the rear wheel is driven by a carbon fiber-reinforced belt that, when combined with smoke pushing out the tread blocks, will look just like a motorcycle when you’re driving right behind it. 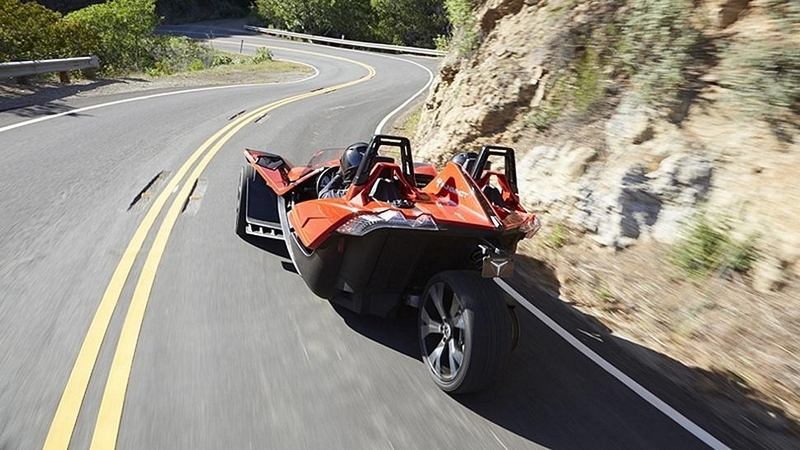 The Polaris Slingshot has an all-steel spaceframe decked in angular body panels with a dual-wishbone suspension out front and an aluminum swingarm out back. 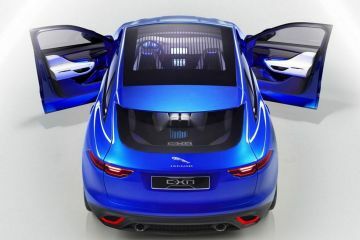 Under the body is a four-cylinder 2.4-liter DOHC Ecotec engine, producing 173 horsepower and 166 pound-feet of torque. 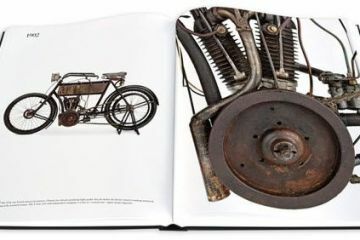 Since it’s a motorcycle, all the safety features required in cars aren’t necessary, allowing the vehicle a curb weight of just 1,725 pounds. Standard features include 298mm vented brakes, projector headlights and auxiliary lights, LED signal lights, ABS, traction control, electronic stability control, and electronic power steering. The base model gets cast wheels, along with 205-series front tires and 265-series tires out back, while the SL trim scores bigger forged 10-spoke wheels with 225-series tires in front and 255 in the back. Other features on the premium SL version include a 4.3-inch media console with USB and Bluetooth connections, a marine-grade six-speaker audio system, and a backup camera. 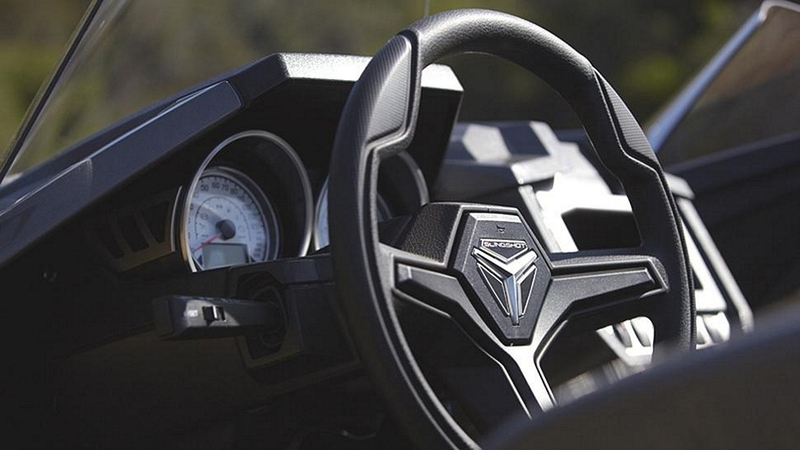 Set for availability in 2015, pricing for the Polaris Slingshot starts at $20,000. 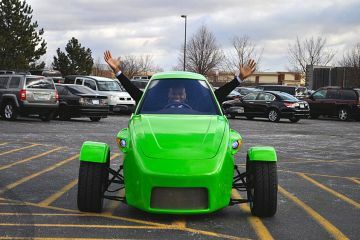 Elio Is A 100 Mph, 84 Mpg Three Wheeled Car For $6800 – And We Want One Bad!